The ERC congress starts on Thursday October 29 at 09:00 and ends on Saturday October 31 at 17:30. On Thursday morning a Czech programme has been scheduled. At 13:00 the international programme will start (English only). 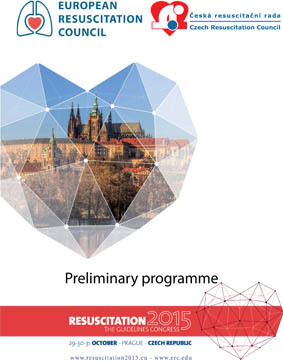 The programme will be dedicated to the new ERC Resuscitation Guidelines that will have been published just a few days prior to the congress.